During the end of February I start to see the first signs of spring in the wet swampy areas at one of the local parks near my home. 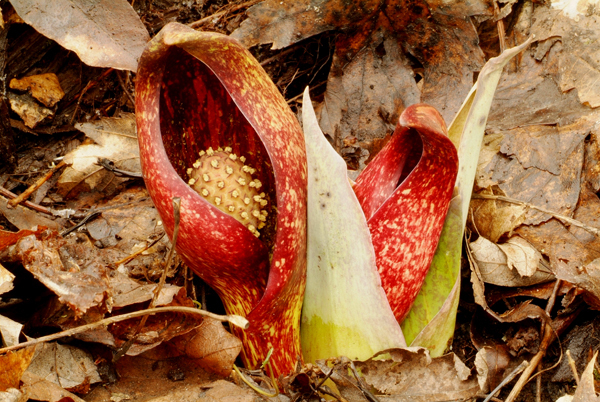 It’s the Skunk Cabbage that pushes its way up through the snow and ice. This plant has its own heating system built inside so it can melt its way through the snow and ice. 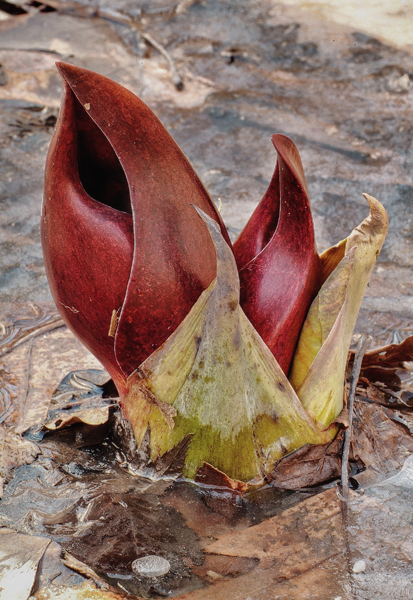 Here is an image of the plant in the ice. When you look inside you see some kind of seed head I guess. It looks like an alien.